These highlights do not include all the information needed to use LEVEMIR ® safely and effectively. See full prescribing information for LEVEMIR. LEVEMIR is a long-acting human insulin analog indicated to improve glycemic control in adults and children with diabetes mellitus (1). Not recommended for treating diabetic ketoacidosis. Use intravenous, rapid-acting or short-acting insulin instead. The starting dose should be individualized based on the type of diabetes and whether the patient is insulin-naïve ( 2.1, 2.2, 2.3). Administer subcutaneously once daily or in divided doses twice daily. Once daily administration should be given with the evening meal or at bedtime ( 2.1). 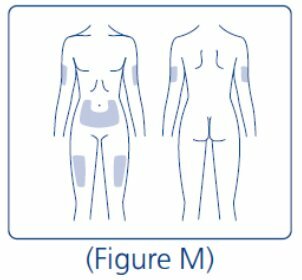 Rotate injection sites within an injection area (abdomen, thigh, or deltoid) to reduce the risk of lipodystrophy ( 2.1). Converting from other insulin therapies may require adjustment of timing and dose of LEVEMIR. Closely monitor glucoses especially upon converting to LEVEMIR and during the initial weeks thereafter ( 2.3). Do not use in patients with hypersensitivity to LEVEMIR or any of its excipients ( 4). 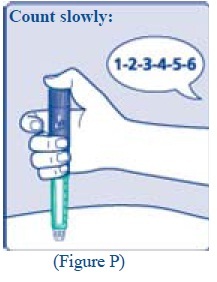 Never Share a LEVEMIR FlexTouch between patients, even if the needle is changed ( 5.1). Dose adjustment and monitoring: Monitor blood glucose in all patients treated with insulin. Insulin regimens should be modified cautiously and only under medical supervision ( 5.2). Administration: Do not dilute or mix with any other insulin or solution. Do not administer subcutaneously via an insulin pump, intramuscularly, or intravenously because severe hypoglycemia can occur ( 5.3). Hypoglycemia is the most common adverse reaction of insulin therapy and may be life-threatening ( 5.4, 6.1). Allergic reactions: Severe, life-threatening, generalized allergy, including anaphylaxis, can occur ( 5.5). Renal or hepatic impairment: May require adjustment of the LEVEMIR dose ( 5.6, 5.7). Fluid retention and heart failure can occur with concomitant use of thiazolidinediones (TZDs), which are PPAR-gamma agonists, and insulin, including LEVEMIR ( 5.9). Adverse reactions associated with LEVEMIR include hypoglycemia, allergic reactions, injection site reactions, lipodystrophy, rash and pruritus (6). Certain drugs may affect glucose metabolism requiring insulin dose adjustment and close monitoring of blood glucose ( 7). The signs of hypoglycemia may be reduced or absent in patients taking anti-adrenergic drugs (e.g., beta-blockers, clonidine, guanethidine, and reserpine) ( 7). Pediatric: Has not been studied in children with type 2 diabetes. Has not been studied in children with type 1 diabetes < 2 years of age (8.4). LEVEMIR is indicated to improve glycemic control in adults and children with diabetes mellitus. LEVEMIR is not recommended for the treatment of diabetic ketoacidosis. Intravenous rapid-acting or short-acting insulin is the preferred treatment for this condition. LEVEMIR is a recombinant human insulin analog for once- or twice-daily subcutaneous administration. Patients treated with LEVEMIR once-daily should administer the dose with the evening meal or at bedtime. The dose of LEVEMIR must be individualized based on clinical response. Blood glucose monitoring is essential in all patients receiving insulin therapy. Patients adjusting the amount or timing of dosing with LEVEMIR should only do so under medical supervision with appropriate glucose monitoring [see Warnings and Precautions (5.2)]. In patients with type 1 diabetes, LEVEMIR must be used in a regimen with rapid-acting or short-acting insulin. LEVEMIR can be injected subcutaneously in the thigh, abdominal wall, or upper arm. As with all insulins, the rate of absorption, and consequently the onset and duration of action, may be affected by exercise and other variables, such as stress, intercurrent illness, or changes in co-administered medications or meal patterns. 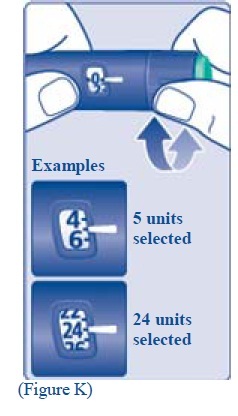 LEVEMIR FlexTouch dials in 1-unit increments. clicks to dial their dose. When using LEVEMIR with a glucagon-like peptide (GLP)-1 receptor agonist, administer as separate injections. Never mix. It is acceptable to inject LEVEMIR and a GLP-1 receptor agonist in the same body region but the injections should not be adjacent to each other. The recommended starting dose of LEVEMIR in patients with type 1 diabetes should be approximately one-third of the total daily insulin requirements. Rapid-acting or short-acting, pre-meal insulin should be used to satisfy the remainder of the daily insulin requirements. The recommended starting dose of LEVEMIR in patients with type 2 diabetes inadequately controlled on oral antidiabetic medications is 10 Units (or 0.1-0.2 Units/kg) given once daily in the evening or divided into a twice daily regimen. The recommended starting dose of LEVEMIR in patients with type 2 diabetes inadequately controlled on a GLP-1 receptor agonist is 10 Units given once daily in the evening. LEVEMIR doses should subsequently be adjusted based on blood glucose measurements. The dosages of LEVEMIR should be individualized under the supervision of a healthcare provider. If converting from insulin glargine to LEVEMIR, the change can be done on a unit-to-unit basis. 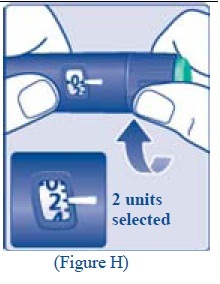 If converting from NPH insulin, the change can be done on a unit-to-unit basis. However, some patients with type 2 diabetes may require more LEVEMIR than NPH insulin, as observed in one trial [see Clinical Studies (14)]. LEVEMIR is contraindicated in patients with hypersensitivity to LEVEMIR or any of its excipients. Reactions have included anaphylaxis [see Warnings and Precautions (5.5) and Adverse Reactions (6.1)]. LEVEMIR FlexTouch must never be shared between patients, even if the needle is changed. Sharing poses a risk for transmission of blood-borne pathogens. As with all insulin preparations, the time course of action for LEVEMIR may vary in different individuals or at different times in the same individual and is dependent on many conditions, including the local blood supply, local temperature, and physical activity. LEVEMIR should only be administered subcutaneously. Do not administer LEVEMIR intravenously or intramuscularly. The intended duration of activity of LEVEMIR is dependent on injection into subcutaneous tissue. Intravenous or intramuscular administration of the usual subcutaneous dose could result in severe hypoglycemia [see Warnings and Precautions (5.4)]. Do not use LEVEMIR in insulin infusion pumps. Do not dilute or mix LEVEMIR with any other insulin or solution. If LEVEMIR is diluted or mixed, the pharmacokinetic or pharmacodynamic profile (e.g., onset of action, time to peak effect) of LEVEMIR and the mixed insulin may be altered in an unpredictable manner. Hypoglycemia is the most common adverse reaction of insulin therapy, including LEVEMIR. The risk of hypoglycemia increases with intensive glycemic control. When a GLP-1 receptor agonist is used in combination with LEVEMIR, the LEVEMIR dose may need to be lowered or more conservatively titrated to minimize the risk of hypoglycemia [see Adverse Reactions (6.1)]. All patients must be educated to recognize and manage hypoglycemia. Severe hypoglycemia can lead to unconsciousness or convulsions and may result in temporary or permanent impairment of brain function or death. Severe hypoglycemia requiring the assistance of another person or parenteral glucose infusion, or glucagon administration has been observed in clinical trials with insulin, including trials with LEVEMIR. The prolonged effect of subcutaneous LEVEMIR may delay recovery from hypoglycemia. Early warning symptoms of hypoglycemia may be different or less pronounced under certain conditions, such as longstanding diabetes, diabetic neuropathy, use of medications such as beta-blockers, or intensified glycemic control [see Drug Interactions (7)]. These situations may result in severe hypoglycemia (and, possibly, loss of consciousness) prior to the patient’s awareness of hypoglycemia. Severe, life-threatening, generalized allergy, including anaphylaxis, can occur with insulin products, including LEVEMIR. No difference was observed in the pharmacokinetics of insulin detemir between non-diabetic individuals with renal impairment and healthy volunteers. However, some studies with human insulin have shown increased circulating insulin concentrations in patients with renal impairment. Careful glucose monitoring and dose adjustments of insulin, including LEVEMIR, may be necessary in patients with renal impairment [see Clinical Pharmacology (12.3)]. Non-diabetic individuals with severe hepatic impairment had lower systemic exposures to insulin detemir compared to healthy volunteers. However, some studies with human insulin have shown increased circulating insulin concentrations in patients with liver impairment. Careful glucose monitoring and dose adjustments of insulin, including LEVEMIR, may be necessary in patients with hepatic impairment [see Clinical Pharmacology (12.3)]. Thiazolidinediones (TZDs), which are peroxisome proliferator-activated receptor (PPAR)-gamma agonists, can cause dose-related fluid retention, particularly when used in combination with insulin. Fluid retention may lead to or exacerbate heart failure. Patients treated with insulin, including LEVEMIR, and a PPAR-gamma agonist should be observed for signs and symptoms of heart failure. If heart failure develops, it should be managed according to current standards of care, and discontinuation or dose reduction of the PPAR-gamma agonist must be considered. The frequencies of adverse reactions (excluding hypoglycemia) reported during LEVEMIR clinical trials in patients with type 1 diabetes mellitus and type 2 diabetes mellitus are listed in Tables 1-4 below. See Tables 5 and 6 for the hypoglycemia findings. In the LEVEMIR add-on to liraglutide+metformin trial, all patients received liraglutide 1.8 mg + metformin during a 12-week run-in period. During the run-in period, 167 patients (17% of enrolled total) withdrew from the trial: 76 (46% of withdrawals) of these patients doing so because of gastrointestinal adverse reactions and 15 (9% of withdrawals) doing so due to other adverse events. Only those patients who completed the run-in period with inadequate glycemic control were randomized to 26 weeks of add-on therapy with LEVEMIR or continued, unchanged treatment with liraglutide 1.8 mg + metformin. During this randomized 26-week period, diarrhea was the only adverse reaction reported in ≥5% of patients treated with liraglutide 1.8 mg + metformin (11.7%) and greater than in patients treated with liraglutide 1.8 mg and metformin alone (6.9%). In two pooled trials, a total of 1155 adults with type 1 diabetes were exposed to individualized doses of LEVEMIR (n=767) or NPH (n=388). The mean duration of exposure to LEVEMIR was 153 days, and the total exposure to LEVEMIR was 321 patient-years. The most common adverse reactions are summarized in Table 1. A total of 320 adults with type 1 diabetes were exposed to individualized doses of LEVEMIR (n=161) or insulin glargine (n=159). The mean duration of exposure to LEVEMIR was 176 days, and the total exposure to LEVEMIR was 78 patient-years. The most common adverse reactions are summarized in Table 2. In two pooled trials, a total of 869 adults with type 2 diabetes were exposed to individualized doses of Levemir (n=432) or NPH (n=437). The mean duration of exposure to LEVEMIR was 157 days, and the total exposure to LEVEMIR was 186 patient-years. The most common adverse reactions are summarized in Table 3. A total of 347 children and adolescents (6-17 years) with type 1 diabetes were exposed to individualized doses of LEVEMIR (n=232) or NPH (n=115). The mean duration of exposure to LEVEMIR was 180 days, and the total exposure to LEVEMIR was 114 patient-years. The most common adverse reactions are summarized in Table 4. Hypoglycemia is the most commonly observed adverse reaction in patients using insulin, including LEVEMIR [see Warnings and Precautions (5.4)]. Tables 5 and 6 summarize the incidence of severe and non-severe hypoglycemia in the LEVEMIR clinical trials. For the adult trials and one of the pediatric trials (Study D), severe hypoglycemia was defined as an event with symptoms consistent with hypoglycemia requiring assistance of another person and associated with either a plasma glucose value below 56 mg/dL (blood glucose below 50 mg/dL) or prompt recovery after oral carbohydrate, intravenous glucose or glucagon administration. For the other pediatric trial (Study I), severe hypoglycemia was defined as an event with semi-consciousness, unconsciousness, coma and/or convulsions in a patient who could not assist in the treatment and who may have required glucagon or intravenous glucose. For the adult trials and pediatric Study D, non-severe hypoglycemia was defined as an asymptomatic or symptomatic plasma glucose < 56 mg/dL (or equivalently blood glucose <50 mg/dL as used in Study A and C) that was self-treated by the patient. For pediatric Study I, non-severe hypoglycemia included asymptomatic events with plasma glucose <65 mg/dL as well as symptomatic events that the patient could self-treat or treat by taking oral therapy provided by the caregiver. The rates of hypoglycemia in the LEVEMIR clinical trials (see Section 14 for a description of the study designs) were comparable between LEVEMIR-treated patients and non-LEVEMIR-treated patients (see Tables 5 and 6). One subject is an outlier and was excluded due to 25 hypoglycemic episodes that the patient was able to self-treat. This patient had a history of frequent hypoglycemia prior to the study. Long-term use of insulin, including LEVEMIR, can cause lipodystrophy at the site of repeated insulin injections. Lipodystrophy includes lipohypertrophy (thickening of adipose tissue) and lipoatrophy (thinning of adipose tissue), and may affect insulin absorption. Rotate insulin injection sites within the same region to reduce the risk of lipodystrophy [see Dosage and Administration (2.1)]. Weight gain can occur with insulin therapy, including LEVEMIR, and has been attributed to the anabolic effects of insulin and the decrease in glucosuria [see Clinical Studies (14)]. Insulin, including LEVEMIR, may cause sodium retention and edema, particularly if previously poor metabolic control is improved by intensified insulin therapy. As with any insulin therapy, patients taking LEVEMIR may experience injection site reactions, including localized erythema, pain, pruritus, urticaria, edema, and inflammation. In clinical studies in adults, three patients treated with LEVEMIR reported injection site pain (0.25%) compared to one patient treated with NPH insulin (0.12%). The reports of pain at the injection site did not result in discontinuation of therapy. Severe, life-threatening, generalized allergy, including anaphylaxis, generalized skin reactions, angioedema, bronchospasm, hypotension, and shock may occur with any insulin, including LEVEMIR, and may be life-threatening [see Warnings and Precautions (5.5)]. All insulin products can elicit the formation of insulin antibodies. These insulin antibodies may increase or decrease the efficacy of insulin and may require adjustment of the insulin dose. In phase 3 clinical trials of LEVEMIR, antibody development has been observed with no apparent impact on glycemic control. The following adverse reactions have been identified during post approval use of LEVEMIR. Because these reactions are reported voluntarily from a population of uncertain size, it is not always possible to reliably estimate their frequency or establish a causal relationship to drug exposure. 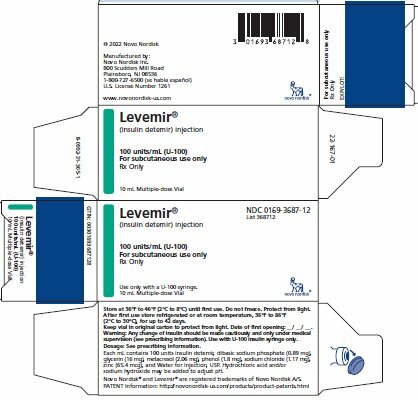 Medication errors have been reported during post-approval use of LEVEMIR in which other insulins, particularly rapid-acting or short-acting insulins, have been accidentally administered instead of LEVEMIR [see Patient Counseling Information (17)]. To avoid medication errors between LEVEMIR and other insulins, patients should be instructed always to verify the insulin label before each injection. The following are examples of medications that may increase the blood-glucose-lowering effect of insulins including LEVEMIR and, therefore, increase the susceptibility to hypoglycemia: oral antidiabetic medications, pramlintide acetate, angiotensin converting enzyme (ACE) inhibitors, disopyramide, fibrates, fluoxetine, monoamine oxidase (MAO) inhibitors, propoxyphene, pentoxifylline, salicylates, somatostatin analogs, and sulfonamide antibiotics. The following are examples of medications that may reduce the blood-glucose-lowering effect of insulins including LEVEMIR: corticosteroids, niacin, danazol, diuretics, sympathomimetic agents (e.g., epinephrine, albuterol, terbutaline), glucagon, isoniazid, phenothiazine derivatives, somatropin, thyroid hormones, estrogens, progestogens (e.g., in oral contraceptives), protease inhibitors and atypical antipsychotic medications (e.g. olanzapine and clozapine). The background risk of birth defects, pregnancy loss, or other adverse events that exists for all pregnancies is increased in pregnancies complicated by hyperglycemia. Female patients should be advised to tell their physician if they intend to become, or if they become pregnant while taking LEVEMIR. A randomized controlled clinical trial of pregnant women with type I diabetes using LEVEMIR during pregnancy did not show an increase in the risk of fetal abnormalities. Reproductive toxicology studies in non-diabetic rats and rabbits that included concurrent human insulin control groups indicated that insulin detemir and human insulin had similar effects regarding embryotoxicity and teratogenicity that were attributed to maternal hypoglycemia. In an, open-label, clinical study, women with type 1 diabetes who were (between weeks 8 and 12 of gestation) or intended to become pregnant were randomized 1:1 to LEVEMIR (once or twice daily) or NPH insulin (once, twice or thrice daily). Insulin aspart was administered before each meal. A total of 152 women in the LEVEMIR arm and 158 women in the NPH arm were or became pregnant during the study (Total pregnant women = 310). Approximately one half of the study participants in each arm were randomized as pregnant and were exposed to NPH or to other insulins prior to conception and in the first 8 weeks of gestation. In the 310 pregnant women, the mean glycosylated hemoglobin (HbA1c) was < 7% at 10, 12, and 24 weeks of gestation in both arms. In the intent-to-treat population, the adjusted mean HbA1c (standard error) at gestational week 36 was 6.27% (0.053) in LEVEMIR-treated patient (n=138) and 6.33% (0.052) in NPH-treated patients (n=145); the difference was not clinically significant. Adverse reactions in pregnant patients occurring at an incidence of ≥5% are shown in Table 7. The two most common adverse reactions were nasopharyngitis and headache. These are consistent with findings from other type 1 diabetes trials (see Table 1, Section 6.1. ), and are not repeated in Table 7. The incidence of adverse reactions of pre-eclampsia was 10.5% (16 cases) and 7.0% (11 cases) in the LEVEMIR and NPH insulin groups respectively. Out of the total number of cases of pre-eclampsia, eight (8) cases in the LEVEMIR group and 1 case in the NPH insulin group required hospitalization. The rates of pre-eclampsia observed in the study are within expected rates for pregnancy complicated by diabetes. Pre-eclampsia is a syndrome defined by symptoms, hypertension and proteinuria; the definition of pre-eclampsia was not standardized in the trial making it difficult to establish a link between a given treatment and an increased risk of pre-eclampsia. All events were considered unlikely related to trial treatment. In all nine (9) cases requiring hospitalization the women had healthy infants. Events of hypertension, proteinuria and edema were reported less frequently in the LEVEMIR group than in the NPH insulin group as a whole. There was no difference between the treatment groups in mean blood pressure during pregnancy and there was no indication of a general increase in blood pressure. In the NPH insulin group there were 6 serious adverse reactions in four mothers of the following placental disorders, ‘Placenta previa’, ‘Placenta previa hemorrhage’, and ‘Premature separation of placenta’ and 1 serious adverse reaction of ‘Antepartum haemorrhage’. There were none reported in the LEVEMIR group. The incidence of early fetal death (abortions) was similar in LEVEMIR and NPH treated patients; 6.6% and 5.1%, respectively. The abortions were reported under the following terms: ‘Abortion spontaneous’, ‘Abortion missed’, ‘Blighted ovum’, ‘Cervical incompetence’ and ‘Abortion incomplete’. ⃰ Because clinical trials are conducted under widely varying designs, the adverse reaction rates reported in one clinical trial may not be easily compared to those rates reported in another clinical trial, and may not reflect the rates actually observed in clinical practice. The proportion of subjects experiencing severe hypoglycemia was 16.4% and 20.9% in LEVEMIR and NPH treated patients respectively. The rate of severe hypoglycemia was 1.1 and 1.2 events per patient-year in LEVEMIR and NPH treated patients respectively. Proportion and incidence rates for non-severe episodes of hypoglycemia were similar in both treatment groups (Table 8). For definition regarding severe and non-severe hypoglycemia see section 6, Hypoglycemia. In about a quarter of infants, LEVEMIR was detected in the infant cord blood at levels above the lower level of quantification (<25 pmol/L). No differences in pregnancy outcomes or the health of the fetus and newborn were seen with LEVEMIR use. In a fertility and embryonic development study, insulin detemir was administered to female rats before mating, during mating, and throughout pregnancy at doses up to 300 nmol/kg/day (3 times a human dose of 0.5 Units/kg/day, based on plasma area under the curve (AUC) ratio). Doses of 150 and 300 nmol/kg/day produced numbers of litters with visceral anomalies. Doses up to 900 nmol/kg/day (approximately 135 times a human dose of 0.5 Units/kg/day based on AUC ratio) were given to rabbits during organogenesis. Drug and dose related increases in the incidence of fetuses with gallbladder abnormalities such as small, bilobed, bifurcated, and missing gallbladders were observed at a dose of 900 nmol/kg/day. The rat and rabbit embryofetal development studies that included concurrent human insulin control groups indicated that insulin detemir and human insulin had similar effects regarding embryotoxicity and teratogenicity suggesting that the effects seen were the result of hypoglycemia resulting from insulin exposure in normal animals. It is unknown whether LEVEMIR is excreted in human milk. Because many drugs, including human insulin, are excreted in human milk, use caution when administering LEVEMIR to a nursing woman. Women with diabetes who are lactating may require adjustments of their insulin doses. The pharmacokinetics, safety and effectiveness of subcutaneous injections of LEVEMIR have been established in pediatric patients (age 2 to 17 years) with type 1 diabetes [see Clinical Pharmacology (12.3) and Clinical Studies (14)]. LEVEMIR has not been studied in pediatric patients younger than 2 years of age with type 1 diabetes. LEVEMIR has not been studied in pediatric patients with type 2 diabetes. The dose recommendation when converting to LEVEMIR is the same as that described for adults [see Dosage and Administration (2) and Clinical Studies (14)]. As in adults, the dosage of LEVEMIR must be individualized in pediatric patients based on metabolic needs and frequent monitoring of blood glucose. In controlled clinical trials comparing LEVEMIR to NPH insulin or insulin glargine, 64 of 1624 patients (3.9%) in the type 1 diabetes trials and 309 of 1082 patients (28.6%) in the type 2 diabetes trials were ≥65 years of age. A total of 52 (7 type 1 and 45 type 2) patients (1.9%) were ≥75 years of age. No overall differences in safety or effectiveness were observed between these patients and younger patients, but small sample sizes, particularly for patients ≥65 years of age in the type 1 diabetes trials and for patients ≥75 years of age in all trials limits conclusions. Greater sensitivity of some older individuals cannot be ruled out. In elderly patients with diabetes, the initial dosing, dose increments, and maintenance dosage should be conservative to avoid hypoglycemia. Hypoglycemia may be difficult to recognize in the elderly. More severe episodes with coma, seizure, or neurologic impairment may be treated with intramuscular/subcutaneous glucagon or concentrated intravenous glucose. After apparent clinical recovery from hypoglycemia, continued observation and additional carbohydrate intake may be necessary to avoid recurrence of hypoglycemia [see Warnings and Precautions (5.4)]. LEVEMIR (insulin detemir injection) is a sterile solution for subcutaneous use. Insulin detemir is a long-acting (up to 24-hour duration of action) recombinant human insulin analog. LEVEMIR is produced by a process that includes expression of recombinant DNA in Saccharomyces cerevisiae followed by chemical modification. LEVEMIR is a clear, colorless, aqueous, neutral sterile solution. Each milliliter of LEVEMIR contains 100 units (14.2 mg/mL) insulin detemir, 65.4 mcg zinc, 2.06 mg m-cresol, 16.0 mg glycerol, 1.80 mg phenol, 0.89 mg disodium phosphate dihydrate, 1.17 mg sodium chloride, and water for injection. Hydrochloric acid and/or sodium hydroxide may be added to adjust pH. LEVEMIR has a pH of approximately 7.4. Insulin detemir is a soluble, long-acting basal human insulin analog with up to a 24-hour duration of action. The pharmacodynamic profile of LEVEMIR is relatively constant with no pronounced peak. The duration of action of LEVEMIR is mediated by slowed systemic absorption of insulin detemir molecules from the injection site due to self-association of the drug molecules. In addition, the distribution of insulin detemir to peripheral target tissues is slowed because of binding to albumin. Figure 2 shows results from a study in patients with type 1 diabetes conducted for a maximum of 24 hours after the subcutaneous injection of LEVEMIR or NPH insulin. The mean time between injection and the end of pharmacological effect for insulin detemir ranged from 7.6 hours to > 24 hours (24 hours was the end of the observation period). After subcutaneous injection of LEVEMIR in healthy subjects and in patients with diabetes, insulin detemir serum concentrations had a relatively constant concentration/time profile over 24 hours with the maximum serum concentration (Cmax) reached between 6-8 hours post-dose. Insulin detemir was more slowly absorbed after subcutaneous administration to the thigh where AUC0-5h was 30-40% lower and AUC0-inf was 10% lower than the corresponding AUCs with subcutaneous injections to the deltoid and abdominal regions. Children and Adolescents- The pharmacokinetic properties of LEVEMIR were investigated in children (6-12 years), adolescents (13-17 years), and adults with type 1 diabetes. In children, the insulin detemir plasma area under the curve (AUC) and Cmax were increased by 10% and 24%, respectively, as compared to adults. There was no difference in pharmacokinetics between adolescents and adults. Geriatrics- In a clinical trial investigating differences in pharmacokinetics of a single subcutaneous dose of LEVEMIR in young (20 to 35 years) versus elderly (≥68 years) healthy subjects, the insulin detemir AUC was up to 35% higher among the elderly subjects due to reduced clearance. As with other insulin preparations, LEVEMIR should always be titrated according to individual requirements. Gender- No clinically relevant differences in pharmacokinetic parameters of LEVEMIR are observed between males and females. Race- In two clinical pharmacology studies conducted in healthy Japanese and Caucasian subjects, there were no clinically relevant differences seen in pharmacokinetic parameters. The pharmacokinetics and pharmacodynamics of LEVEMIR were investigated in a clamp study comparing patients with type 2 diabetes of Caucasian, African-American, and Latino origin. Dose-response relationships for LEVEMIR were comparable in these three populations. Renal impairment- A single subcutaneous dose of 0.2 Units/kg (1.2 nmol/kg) of LEVEMIR was administered to healthy subjects and those with varying degrees of renal impairment (mild, moderate, severe, and hemodialysis-dependent). In this study, there were no differences in the pharmacokinetics of LEVEMIR between healthy subjects and those with renal impairment. However, some studies with human insulin have shown increased circulating levels of insulin in patients with renal impairment. Careful glucose monitoring and dose adjustments of insulin, including LEVEMIR, may be necessary in patients with renal impairment [see Warnings and Precautions (5.6)]. Hepatic impairment- A single subcutaneous dose of 0.2 Units/kg (1.2 nmol/kg) of LEVEMIR was administered to healthy subjects and those with varying degrees of hepatic impairment (mild, moderate and severe). LEVEMIR exposure as estimated by AUC decreased with increasing degrees of hepatic impairment with a corresponding increase in apparent clearance. However, some studies with human insulin have shown increased circulating levels of insulin in patients with liver impairment. Careful glucose monitoring and dose adjustments of insulin, including LEVEMIR, may be necessary in patients with hepatic impairment [see Warnings and Precautions (5.7)]. Pregnancy- The effect of pregnancy on the pharmacokinetics and pharmacodynamics of LEVEMIR has not been studied [see Use in Specific Populations (8.1)]. Smoking- The effect of smoking on the pharmacokinetics and pharmacodynamics of LEVEMIR has not been studied. Liraglutide -No pharmacokinetic interaction was observed between liraglutide and LEVEMIR when separate subcutaneous injections of LEVEMIR 0.5 Unit/kg (single-dose) and liraglutide 1.8 mg (steady state) were administered in patients with type 2 diabetes. The efficacy and safety of LEVEMIR given once-daily at bedtime or twice-daily (before breakfast and at bedtime, before breakfast and with the evening meal, or at 12-hour intervals) was compared to that of once-daily or twice-daily NPH insulin in open-label, randomized, parallel studies of 1155 adults with type 1 diabetes mellitus, 347 pediatric patients with type 1 diabetes mellitus, and 869 adults with type 2 diabetes mellitus. The efficacy and safety of LEVEMIR given twice-daily was compared to once-daily insulin glargine in an open-label, randomized, parallel study of 320 patients with type 1 diabetes. The evening LEVEMIR dose was titrated in all trials according to pre-defined targets for fasting blood glucose. The pre-dinner blood glucose was used to titrate the morning LEVEMIR dose in those trials that also administered LEVEMIR in the morning. In general, the reduction in glycosylated hemoglobin (HbA1c) with LEVEMIR was similar to that with NPH insulin or insulin glargine. In a 16-week open-label clinical study (Study A, n=409), adults with type 1 diabetes were randomized to treatment with either LEVEMIR at 12-hour intervals, LEVEMIR administered in the morning and bedtime or NPH insulin administered in the morning and bedtime. Insulin aspart was also administered before each meal. At 16 weeks of treatment, the combined LEVEMIR-treated patients had similar HbA1c and fasting plasma glucose (FPG) reductions compared to the NPH-treated patients (Table 9). Differences in timing of LEVEMIR administration had no effect on HbA1c, fasting plasma glucose (FPG), or body weight. In a 26-week, open-label clinical study (Study B, n=320), adults with type 1 diabetes were randomized to twice-daily LEVEMIR (administered in the morning and bedtime) or once-daily insulin glargine (administered at bedtime). Insulin aspart was administered before each meal. LEVEMIR-treated patients had a decrease in HbA1c similar to that of insulin glargine-treated patients. In a 24-week, open-label clinical study (Study C, n=749), adults with type 1 diabetes were randomized to once-daily LEVEMIR or once-daily NPH insulin, both administered at bedtime and in combination with regular human insulin before each meal. LEVEMIR and NPH insulin had a similar effect on HbA1c. From an ANCOVA model adjusted for baseline value and country. From an ANCOVA model adjusted for baseline value and study site. Two open-label, randomized, controlled clinical studies have been conducted in pediatric patients with type 1 diabetes. One study was 26 weeks in duration and enrolled patients 6-17 years of age. The other study was 52 weeks in duration and enrolled patients 2-16 years of age. In both studies, LEVEMIR and NPH insulin were administered once- or twice-daily. Bolus insulin aspart was administered before each meal. In the 26-week study, LEVEMIR-treated patients had a mean decrease in HbA1c similar to that of NPH insulin (Table 10). In the 52-week study, the randomization was stratified by age (2-5 years, n=82, and 6-16 years, n=265) and the mean HbA1c increased in both treatment arms, with similar findings in the 2-5 year-old age group (n=80) and the 6-16 year-old age group (n=258) (Table 10). From an ANCOVA model adjusted for baseline value, country, pubertal status at baseline and age (stratification factor). In a 24-week, open-label, randomized, clinical study (Study E, n=476), LEVEMIR administered twice-daily (before breakfast and evening) was compared to NPH insulin administered twice-daily (before breakfast and evening) as part of a regimen of stable combination therapy with one or two of the following oral antidiabetic medications: metformin, an insulin secretagogue, or an alpha–glucosidase inhibitor. All patients were insulin-naïve at the time of randomization. LEVEMIR and NPH insulin similarly lowered HbA1c from baseline (Table 11). In a 22-week, open-label, randomized, clinical study (Study F, n=395) in adults with type 2 diabetes, LEVEMIR and NPH insulin were given once- or twice-daily as part of a basal-bolus regimen with insulin aspart. As measured by HbA1c or FPG, LEVEMIR had efficacy similar to that of NPH insulin. From an ANCOVA model adjusted for baseline value, country and oral antidiabetic treatment category. This 26-week open-label trial enrolled 988 patients with inadequate glycemic control (HbA1c 7-10%) on metformin (≥1500 mg/day) alone or inadequate glycemic control (HbA1c 7-8.5%) on metformin (≥1500 mg/day) and a sulfonylurea. Patients who were on metformin and a sulfonylurea discontinued the sulfonylurea then all patients entered a 12-week run-in period during which they received add-on therapy with liraglutide titrated to 1.8 mg once-daily. At the end of the run-in period, 498 patients (50%) achieved HbA1c <7% with liraglutide 1.8 mg and metformin and continued treatment in a non-randomized, observational arm. Another 167 patients (17%) withdrew from the trial during the run-in period with approximately one-half of these patients doing so because of gastrointestinal adverse reactions [see Adverse Reactions (6.1)]. The remaining 323 patients with HbA1c ≥7% (33% of those who entered the run-in period) were randomized to 26 weeks of once-daily LEVEMIR administered in the evening as add-on therapy (N=162) or to continued, unchanged treatment with liraglutide 1.8 mg and metformin (N=161). The starting dose of LEVEMIR was 10 units/day and the mean dose at the end of the 26-week randomized period was 39 units/day. During the 26-week randomized treatment period, the percentage of patients who discontinued due to ineffective therapy was 11.2% in the group randomized to continued treatment with liraglutide 1.8 mg and metformin and 1.2% in the group randomized to add-on therapy with LEVEMIR. Treatment with LEVEMIR as add-on to liraglutide 1.8 mg + metformin resulted in statistically significant reductions in HbA1c and FPG compared to continued, unchanged treatment with liraglutide 1.8 mg + metformin alone (Table 12). From a mean baseline body weight of 96 kg after randomization, there was a mean reduction of 0.3 kg in the patients who received LEVEMIR add-on therapy compared to a mean reduction of 1.1 kg in the patients who continued on unchanged treatment with liraglutide 1.8 mg + metformin alone. From a logistic regression model adjusted for baseline HbA 1c. LEVEMIR is available in the following package sizes: each presentation containing 100 Units of insulin detemir per mL (U-100). 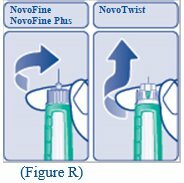 FlexTouch can be used with NovoFine® or NovoTwist® disposable needles. Each FlexTouch is for use by a single patient. LEVEMIR FlexTouch must never be shared between patients, even if the needle is changed. Unused (unopened) LEVEMIR should be stored in the refrigerator between 2° and 8°C (36° to 46°F). Do not store in the freezer or directly adjacent to the refrigerator cooling element. Do not freeze. Do not use LEVEMIR if it has been frozen. Unused (unopened) LEVEMIR can be kept until the expiration date printed on the label if it is stored in a refrigerator. Keep unused LEVEMIR in the carton so that it stays clean and protected from light. If refrigeration is not possible, unused (unopened) LEVEMIR can be kept unrefrigerated at room temperature, below 30°C (86°F) as long as it is kept as cool as possible and away from direct heat and light. Unrefrigerated LEVEMIR should be discarded 42 days after it is first kept out of the refrigerator, even if the FlexTouch or vial still contains insulin. After initial use, vials should be stored in a refrigerator, never in a freezer. If refrigeration is not possible, the in-use vial can be kept unrefrigerated at room temperature, below 30°C (86°F) as long as it is kept as cool as possible and away from direct heat and light. Refrigerated LEVEMIR vials should be discarded 42 days after initial use. Unrefrigerated LEVEMIR vials should be discarded 42 days after they are first kept out of the refrigerator. After initial use, the LEVEMIR FlexTouch must NOT be stored in a refrigerator and must NOT be stored with the needle in place. Keep the opened (in use) LEVEMIR FlexTouch away from direct heat and light at room temperature, below 30°C (86°F). Unrefrigerated LEVEMIR FlexTouch should be discarded 42 days after they are first kept out of the refrigerator. 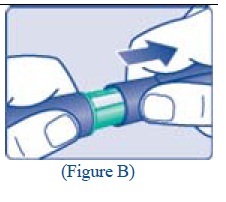 Always remove the needle after each injection and store the LEVEMIR FlexTouchwithout a needle attached. 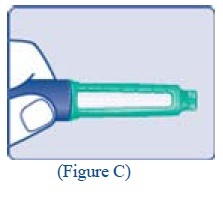 This prevents contamination and/or infection, or leakage of insulin, and will ensure accurate dosing. Always use a new needle for each injection to prevent contamination. The total time allowed at room temperature (below 30°C) is 42 days regardless of whether the product is in-use or not in-use. Parenteral drug products should be inspected visually for particulate matter and discoloration prior to administration, whenever solution and container permit. LEVEMIR should be inspected visually prior to administration and should only be used if the solution appears clear and colorless. Mixing and diluting: LEVEMIR must NOT be mixed or diluted with any other insulin or solution [see Warnings and Precautions (5.3)]. Advise patients that they must never share a LEVEMIR FlexTouch with another person, even if the needle is changed, because doing so carries a risk for transmission of bloodborne pathogens. Accidental mix-ups between LEVEMIR and other insulins, particularly short-acting insulins, have been reported. To avoid medication errors between LEVEMIR and other insulins, patients should be instructed to always check the insulin label before each injection. LEVEMIR must only be used if the solution is clear and colorless with no particles visible. Patients must be advised that LEVEMIR must NOT be diluted or mixed with any other insulin or solution. Patients should receive proper training on how to use Levemir. 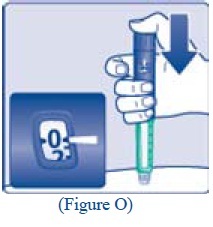 Instruct patients that when injecting Levemir, they must press and hold down the dose button until the dose counter shows 0 and then keep the needle in the skin and count slowly to 6. When the dose counter returns to 0, the prescribed dose is not completely delivered until 6 seconds later. 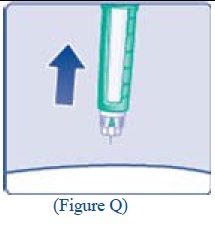 If the needle is removed earlier, they may see a stream of insulin coming from the needle tip. If so, the full dose will not be delivered (a possible under-dose may occur by as much as 20%), and they should increase the frequency of checking their blood glucose levels and possible additional insulin administration may be necessary. Patients with diabetes should be advised to inform their healthcare professional if they are pregnant or are contemplating pregnancy. Refer patients to the LEVEMIR "Patient Information" for additional information. Novo Nordisk®, Levemir®, NovoLog®, FlexTouch®, NovoFine®, and NovoTwist® are registered trademarks of Novo Nordisk A/S. Levemir is a man-made insulin that is used to control high blood sugar in adults and children with diabetes mellitus. Levemir is not meant for use to treat diabetic ketoacidosis. Who should not take Levemir? have an allergy to Levemir or any of the ingredients in Levemir. Before you start taking Levemir, talk to your healthcare provider about low blood sugar and how to manage it. How should I take Levemir? Read the Instructions for Use that come with your Levemir. Take Levemir exactly as your healthcare provider tells you to. Never inject Levemir into a vein or muscle. What should I avoid while taking Levemir? Drive or operate heavy machinery, until you know how Levemir affects you. What are the possible side effects of Levemir? These are not all the possible side effects of Levemir. Call your doctor for medical advice about side effects. You may report side effects to FDA at 1-800-FDA-1088. General information about the safe and effective use of Levemir. Medicines are sometimes prescribed for purposes other than those listed in a Patient Information leaflet. You can ask your pharmacist or healthcare provider for information about Levemir that is written for health professionals. Do not use Levemir for a condition for which it was not prescribed. Do not give Levemir to other people, even if they have the same symptoms that you have. It may harm them. What are the ingredients in Levemir? For more information, go to www.novonordisk-us.com or call 1-800-727-6500. How should I use the LEVEMIR 10 mL vial? 2. Look at the vial and the insulin. The LEVEMIR insulin should be clear and colorless. The tamper-resistant cap should be in place before the first use. If the cap has been removed before your first use of the vial, or if the insulin is cloudy or colored, Do not use the insulin and return it to your pharmacy. 13. Inject your LEVEMIR right away as instructed by your healthcare provider. How should I inject LEVEMIR with a syringe? Novo Nordisk® and LEVEMIR® are registered trademarks of Novo Nordisk A/S. LEVEMIR® is covered by US Patent Nos. 5,750,497, 5,866,538, 6,011,007, 6,869,930, and other patents pending. Do not share your Levemir FlexTouch Pen with other people, even if the needle has been changed. You may give other people a serious infection, or get a serious infection from them. 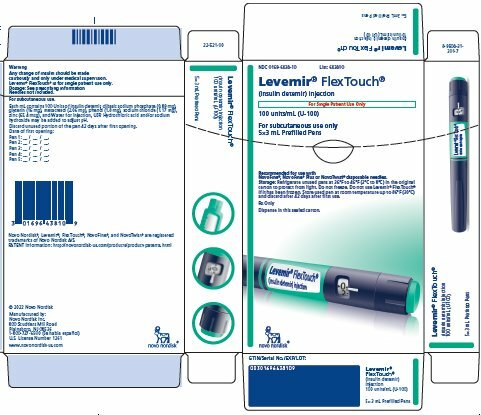 Levemir FlexTouch Pen (“Pen”) is a prefilled disposable pen containing 300 units of U-100 Levemir (insulin detemir [rDNA origin] injection) insulin. 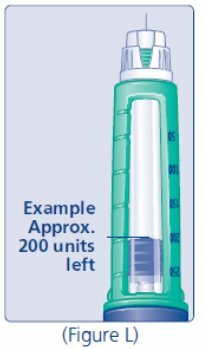 You can inject from 1 to 80 units in a single injection. People who are blind or have vision problems should not use this Pen without help from a person trained to use the Pen. 1 sharps container for throwing away used Pens and needles. 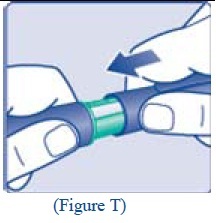 See “Disposing of used Levemir FlexTouch Pens and needles” at the end of these instructions. 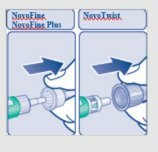 Before you start to prepare your injection, check the Levemir FlexTouch Pen label to make sure you are taking the right type of insulin. This is especially important if you take more than 1 type of insulin. Levemir should look clear and colorless. Do not use Levemir if it is thick, cloudy, or is colored. Do not use Levemir past the expiration date printed on the label or 42 days after you start using the Pen. 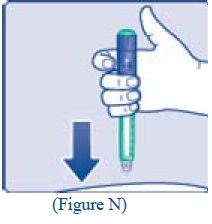 Check the liquid in the Pen (See Figure C). Levemir should look clear and colorless. Do not use it if it looks cloudy or colored. 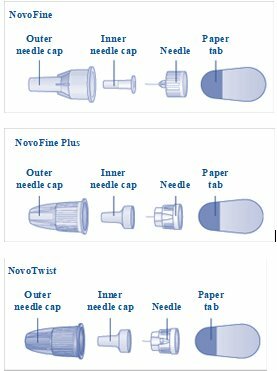 ● Pull off the outer needle cap. Do not throw it away (See Figure F). 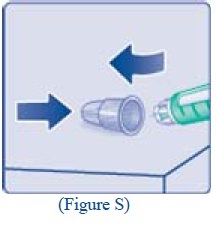 ● Pull off the inner needle cap and throw it away (See Figure G). 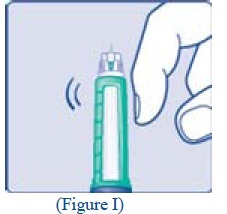 The Levemir FlexTouch Pen insulin scale will show you how much insulin is left in your Pen (See Figure L). Inject your Levemir exactly as your healthcare provider has shown you. Your healthcare provider should tell you if you need to pinch the skin before injecting. Levemir can be injected under the skin (subcutaneously) of your stomach area (abdomen), upper legs (thighs) or upper arms. You can put your used Levemir FlexTouch Pen and needles in a FDA-cleared sharps disposal container right away after use. Do not throw away (dispose of) loose needles and Pens in your household trash. When your sharps disposal container is almost full, you will need to follow your community guidelines for the right way to dispose of your sharps disposal container. There may be state or local laws about how you should throw away used needles and syringes. Do not reuse or share your needles or syringes with other people. For more information about safe sharps disposal, and for specific information about sharps disposal in the state that you live in, go to the FDA’s website at: http://www.fda.gov/safesharpsdisposal. How should I store my Levemir FlexTouch Pen? Store unused Levemir FlexTouch Pens in the refrigerator at 36°F to 46°F (2°C to 8°C). Do not freeze Levemir. Do not use Levemir if it has been frozen. Keep Levemir away from heat or light. The Levemir FlexTouch Pen you are using should be thrown away after 42 days, even if it still has insulin left in it. Keep Levemir FlexTouch Pens and needles out of the reach of children. Do not share your Levemir FlexTouch Pen or needles with other people. You may give other people a serious infection, or get a serious infection from them. Keep in a cold place until first use. Store at 2° - 8°C (36° - 46°F).